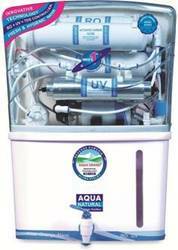 WATER PURIFIER FOR MUiNCIPALTY WATER AS WELL AS BORING WATER FOR BOTH. 1st stage Pre-Filter 10" Spun dust and other visible particle from water. 3rd stage Activated Carbon: removes chlorine, chlorine smell and restore the natural colour of the water. 4th stage RO Membrane: removes hardness of the water, filter out other impurities of the water.